National Airsoft Tactical Operations is proud to present Operation: Midas Touch II, our 2nd Annual March of Dimes fundraising event. This will be an all day (12+hours) airsoft scenario to be held at Adventure Beach Scenario Paintball in Tabor City, NC (80+ acres). This event will have multiple missions for each team as well as special GPS based missions. We believe March of Dimes is a very worthy cause and the money raised will help fund research to reduce birth defects, premature birth, and infant mortality. Adventure Beach Scenario Paintball will donate a portion of each field fee, but would like to ask each player to join with us and make a donation as well. For each $5.00 donation to the March of Dimes, you will receive one additional raffle ticket, so you can increase your chances of winning a great prize and join us in supporting a very worthy cause. We would like to thank our sponsors for their very generous support. If you cannot attend this event, but want to help, you can make a donation by going to this page. Please use this link to register, just choose which team you want to register for. Age Limit: 12 yr. old and up. 12-14 yr. old must have parent or guardian present during game and sign waiver. 15-17 yr. old must have waiver signed by parent. 18+ yr. old must sign waiver. Player Pack: Each team has a separate mission brief; it is available in the planning forums for each team. 1230-1330 – Lunch break, RAFFLE! Accommodations: Free camping on site after 5:00 pm on Apr. 25th and 26th. 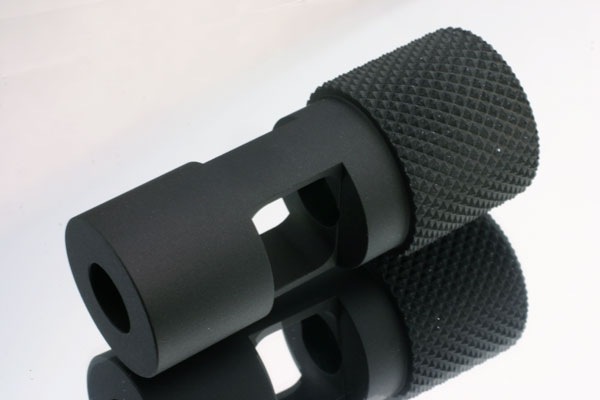 Today,we released a new VSR-10 Flash hider. It’s type of SPR. 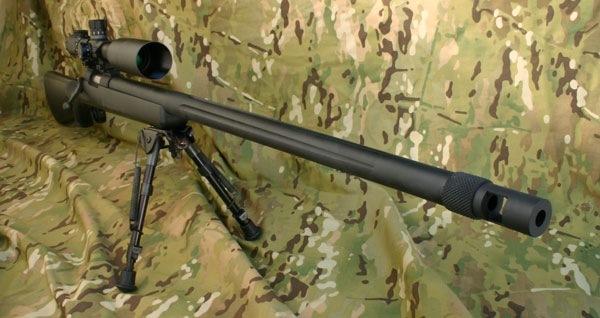 This hider is available with VSR-10 Pro sniper normal barrel or PDI taper front barrel. 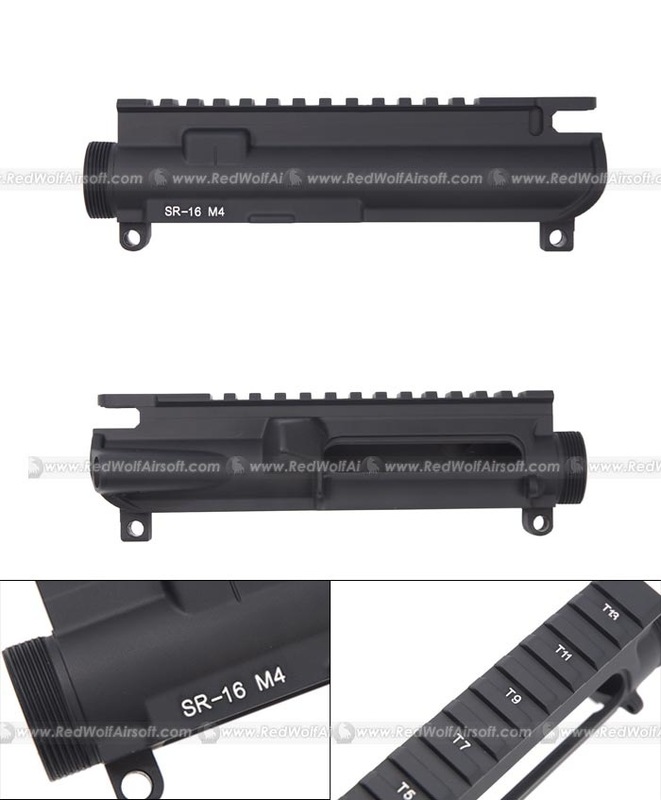 If you want to build to G-Spec or PDI Front bull barrel & light outer barrel, you need to buy other version we’ll release later. Made of Duralmin, CNC all machined. It’s required PDI Silencer attachment for VSR-10 Pro sniper when you build. Photo with VOLK Tactical Gear. We’ve posted our third in the series of promo videos. This video features even more high speed videography. In this video demonstrate the operation and effectiveness of the adjustable timer feature on our grenade. Stay tuned for more updates. I update PDI new products. 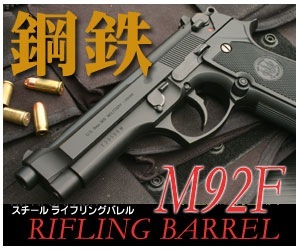 TM M92F Koutetsu Rifling Barrel & TM Tactical Master Koutetsu Rifling Barrel Set. 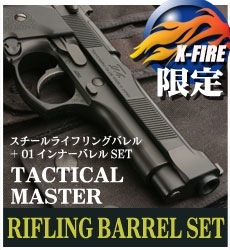 TM Tacktical Master Koutetsu Rifling Barrel Set is a limited Edition for X-FIRE. X-FIRE PRICE \4,980 it’s special price for 1st lot. If you’re interest,please introduce them on your site. dEFCONAirsoft / King Arms Competition – Win A TROY! A couple of months ago, dEFCONAirsoft were amongst the first to review the latest AEG from King Arms, the ‘Troy’. Well, as it was kindly donated to us by King Arms for review, we thought what better thing to do than give it away to one of you lucky lot! We’re going to make this a nice easy competition – so there are no excuses for not entering!
! THIS COMPETITION IS OPEN TO UK RESIDENTS ONLY ! Failure to include any of the information required above, or failure to provide a valid UKARA membership number will automatically disqualify your entry. We’ve got a couple of interesting new products out, the latest one is the DeepFIre M4 AEGs, which are now available to PRE ORDER. The DeepFire M4 AEGs were revealed only just recently at the IWA 2008 show in Germany last week at our booth, and we will be taking PRE ORDERS from today. All PRE ORDERS get 5% off the retail price. The NEW DeepFire Full Metal M4 AEGs are available for PRE ORDER now! 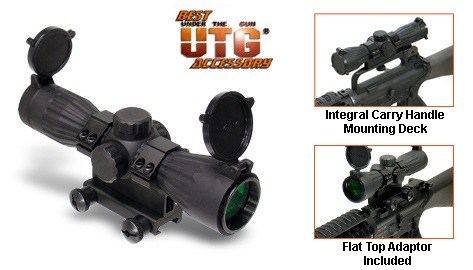 Available in 12inch MRF-CX-Carbine, 7inch MRF-C-Carbine and 7inch MRF-C-CQB forms. DeepFire have previously only made accessories and of course the M72A2 Launcher and Grenades, so this marks a change in direction for the company. 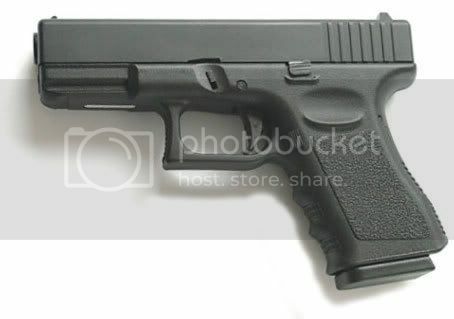 The gun is a combination of all the best parts from DeepFire, such as the Titanium Piston and Titanium Teeth as well as the other internal parts. 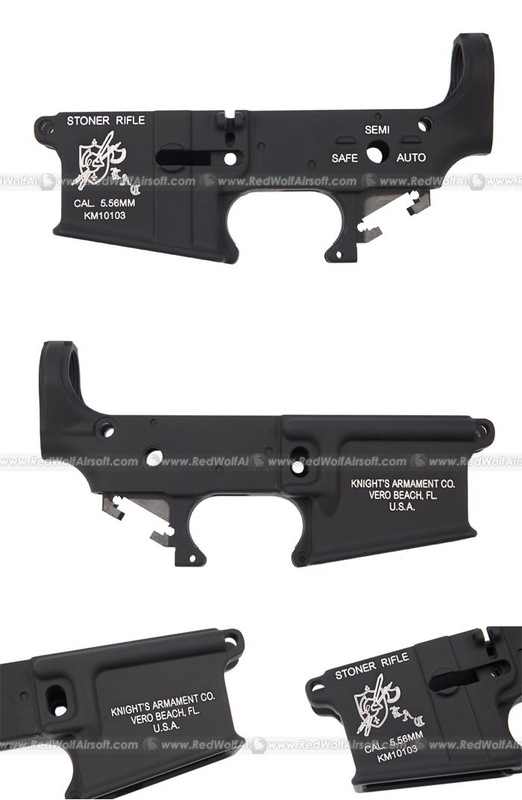 The handguard is apparently made from German plastics not to mention the full metal body. 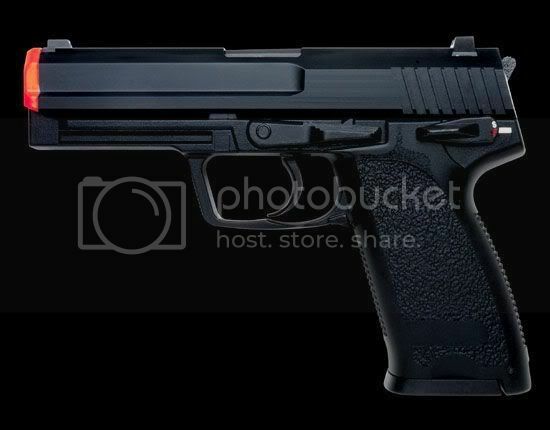 It shoots 280fps. (photos) from DeepFire). Just like the increasing popularity of Systema PTW guns, the trend of customising the PTWs have gained much popularity too. We have seen many photos of customers who have customised their PTWs to make their gun stand out from the crowd, and today we have got a NEW metal body kit for the Systema PTW M4/M16 series, complete with realistic trademarks. Tokyo Marui Detonics .45 Enviro Hard Chrome! New(or fairly new) release from Marushin. MORE VFC News – not good this time. This is the New addition to the Warrior range. The R.I.C.A.S. is a versatile plate carrier with an internal release system that allows fast and easy removal of the rig, for example to allow a medic quick access. The R.I.C.A.S. has been designed with a higher cut to make it extremely comfortable when in vehicles and crouching down, it also allows belt kit to be worn in comfort. Coms and hydration can be channeled through the shoulder sections and MOLLE loops front and back.